My kid has bad odor in the mouth. What is causing it and what is the way out? 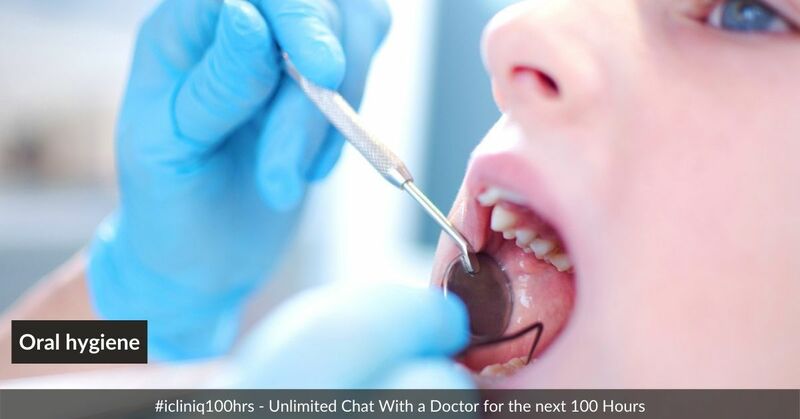 iCliniq › Ask a doctor online › Answers › Dietician › Halitosis › My kid has bad odor in the mouth. What is causing it and what is the way out? Q. My kid has bad odor in the mouth. What is causing it and what is the way out? Answered by Dr. Sumiya Sulthana and medically reviewed by iCliniq medical review team. My 3 year old daughter's mouth has an odor and I always thoroughly brush her teeth every day. What is causing it and what is the way out? • My tongue has a white and yellow coating. Is it due to yeast overgrowth? • Is the color of my tongue normal? Brush her teeth twice and clean her tongue and make sure she does not eat excess acidic food before going to bed. Ask her to make a habit of gargling with normal water after each food she takes. Avoid acidic foods, deep-fried foods as well as those with high sugar content.